This is the official Buffet Eb Clarinet replacement ligature. 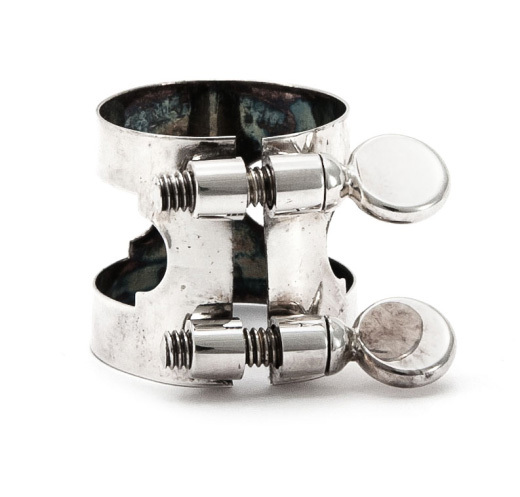 It has a classic 2 screw design to hold the reed securely and is silver plated for a bright sound. Fits most standard size plastic or ebonite Eb Clarinet mouthpieces. Silver Plated for a bright responsive sound. Compatible with the Buffet Eb Clarinet Cap (sold separately). Classic two screw simple design. Looks good value for money, but unfortunately was too large for my Eb mouthpiece. It probably suits Vandoren.